This webinar will highlight educational books and related resources for encouraging young women in STEM. 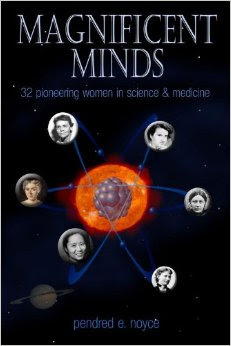 Author Penny Noyce will discussMagnificent Minds and Remarkable Minds that chronicle the contributions of 33 women over four centuries to science fields and will inspire girls and young women who are curious about the world and want to make a difference. Beth McGinnis-Cavanaugh, Isabel Huff, and Sonia Ellis will discuss Through My Window, a multimedia educational website that brings engineering alive through stories, mysteries, explorations, and adventures, including Talk to Me, a STEM-focused novel for teens.